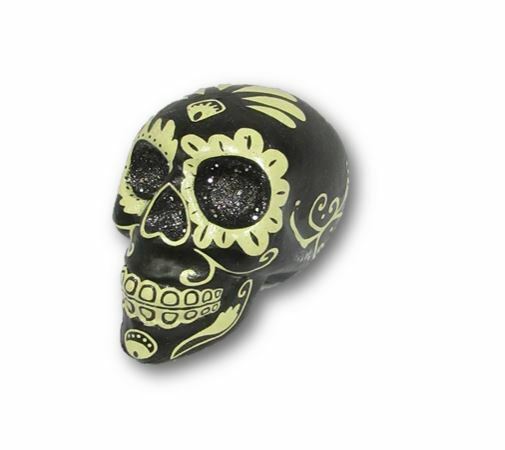 Day of the Dead sugar skull in black. Markings are in a cream colour and inside eyes and nose has silver glitter. 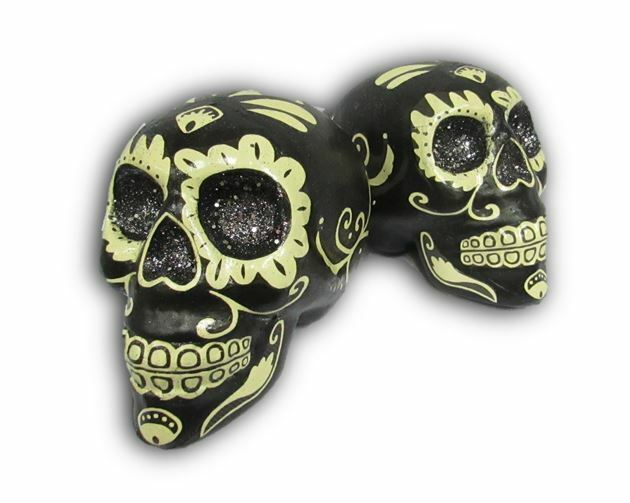 Skull stands approx. : 15cm high.